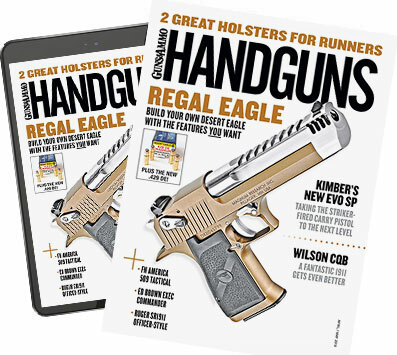 To read the rest of what Bob Pilgrim has to say about Close Combat Techniques, be sure to pick up a copy of the April/May 2010 Handguns magazine on sale at a newsstand near you. With people, comfort zones vary from one person to another and can be influenced by culture, population densities and a person's position in society. Like other animals, human beings are territorial and generally react in a negative or uncomfortable manner when the most intimate of one's territory or "personal space" is intentionally or unintentionally violated by another person(s). Personal property, including your self is a sacred element of liberty and should be jealously guarded. That is why redistribution of wealth is so anathema to most Americans. With people, comfort zones vary from one person to another and can be influenced by culture, population densities and a person's position in society. More affluent individuals demand and usually have larger perimeters of personal space. Studies have also indicated that criminals have wider intimate and personal space zones than the general population and will usually react earlier to an approach by a stranger than a police officer will. It has been further determined that the average comfort zone for the average westerner is approximately 24.5 inches on either side and 27.5 inches front to back. Of course we make exceptions during intimate and loving contact with others and have adapted to crowds in public places like elevators by "dehumanization" and treating those that temporarily intrude on our personal space as inanimate. Behaviorally, when most of us experience a person that gets in our face, we step back you restore our comfort zone. However, what do we do when others purposely invade that protective area with violence as their objective? Considered by some as a novelty shot but by others as a last resort technique when under the gun from the rear and distance precludes going hands on, this advanced technique can be a lifesaver. I don't recall who invented it, but several years ago I was an adjunct instructor for the Smith & Wesson Academy and conducted a large CQB Pistol class in Victoria, Australia. During the course, I demonstrated the tactic, and a Victoria police officer dubbed it he "Down Under Survival Shot." This counter is most appropriate for law enforcement officers when they are at Ready gun during forced entries and will only work if your handgun is in hand. Imagine that you are in the process of room clearing and searching for a subject when from behind you hear, "Don't move pig or I will plaster your brains against the wall." This technique will upset range masters because its starting position is facing up range, and for live-fire you'll either have to clear it with the facility or find another safe place to practice it. You comply, but glance over your shoulder and in your peripheral vision you determine that the subject is about five feet away and pointing a handgun at your head. You coolly engage him in conversation—more or less trying to calm him and reason with him—but during mid sentence you bend over at your waist, punch the gun to the rear and rake his torso with several warp speed rounds. This technique will upset range masters because its starting position is facing up range, and for live-fire you'll either have to clear it with the facility or find another safe place to practice it. Either way, it is extremely vital that whenever the gun is off target, fingers remain off of the trigger and the muzzle is properly depressed and not sweeping anyone or anything that you are not willing to destroy. But first you need to dry-fire, and it's not a bad idea to start with a blue training gun to get the initial feel. The Down Under works best from a modified Low Ready or Stronghold Ready. In the latter, the weapon is not extended out in front of you, but bent elbows rest comfortably against the rib cage. Face away from the target. Glance over the gun side shoulder to locate the target. Keeping elbows bent bow from the waist while bending the knees into a crouch. Turn slightly to your gun side, visually locate the threat and punch the pistol straight back at the threat. Obtain a 12 o'clock sight picture and dry-fire several simulated rounds. With a one- or two-handed hold, continue to engage the threat while moving to cover.